If I actually made every single appetizing recipe I found on websites and in all the cookbooks I own, I wouldn't repeat a dish for a good 10 years! Here is a blog I found that is all about Ayurveda and food, two of my favouritest subjects! It's called Sailu's Food and contains a wealth of information, Indian recipes, and home remedies. The recipes don't have dosha-specific guides, and include non-veg dishes and milky sugary treats, but there are lots of photos and some really delicious-looking and healthy recipes that I'll be sure to try. Frannie,thanks so much for dropping by my blog and for your kind words. I have been a fan of your blog which is a treasure for all those interested in ayurvedic food and dosha-specific recipes. Have you linked to my blog. "Herbal Ghee-Clarified Butter" developed by Scientists at the National Dairy Research Institute-India is launched by PUNJAB SIND DAIRY PRODUCTS PVT. LTD. The new products have the taste, flavor, color and consistency of traditional ghee. But, instead of being hazardous ghee, this form of ghee boosts the immune system and guards against cholesterol related problems and is beneficial for people suffering from cardio-vascular diseases and blood pressure. It also strengthens the arteries. The younger generation is crazy about their fitness throughout and even elderly people are also not ready to accept their ageing realities, all want to look young and vibrant forever without taking medicine. The solution lies in functional foods that provide medication rejuvenating vital component through foods. People have now accepted the philosophy “Prevention is better than cure” well in their day-to-day life. Here’s the best news. The new healthy herbal ghee launched by Punjab Sind will not only retain the taste, flavor, color and consistency of traditional ghee but also boost the immune system, guard against cholesterol-related problems. So get ready to dig into ghee – and not feel guilty about it! Punjab Sind Pvt Ltd is the first company to launch this Herbal Ghee in market and is now available at its retail outlets at various malls, shopping centers and its own shops all over Mumbai. Punjab Sind lines of products were specifically launched to provide consumers with a wide choice of natural food supplements, vitamins and herbal products. The site www.punjabsind.com offers a range of product information etc for the health conscious consumer. Ayurveda is a complete system of healthcare having a traditional system of medicine. There are various factors, which should be kept in mind like the right time to have food, food for different constitutions of person, effect of wrong type of diet on ones life so we should have the idea that what to eat and the right way of eating. Here are some wonderful and insightful videos on the wonders of Ayurveda. I hope you enjoy them as much as I have. accomplished Rishis to their disciples. have their roots in Ayurveda,. remains the same throughout one's life. Pitta or Kapha. Disease can also be caused by the presence of Toxins . metabolism, and Kapha the energy that forms the body's structure. balance, Vata produces fear and anxiety. forgiveness. Out of balance, it leads to attachment, greed and envy. the body after being treated with drugs or surgery. actively seek to create balance in our body, mind and consciousness. suggested measures of treatment . hard, dry and small in size and quantity. dry skin and hair, nerve disorders, constipation, and mental confusion. drying and wrinkling of the skin. and clear, any of these qualities in excess can cause imbalance. types to go to bed by 10 pm as they need more rest than the other types. should be consumed in limited quantity by those trying to pacify Vata. a regular routine . * Get plenty of rest . * Avoid extreme cold . conjunctiva is moist. The nose is sharp and the tip tends to be reddish. tolerance for sunlight, heat and hard physical work . irritations such as conjunctivitis, colitis or sore throats. coolest part of the day. incorporate sweet, cooling and bitter foods and tastes into their diets. individuals and vegetables should form a substantial part of their diet. chickpeas and mung beans being the best. Most nuts and seeds have too much oil and are heating for Pitta. amounts of cumin and black pepper. * Avoid excessive heat . * Eat cooling, non-spicy foods . during the cooler part of the day . * Avoid excessive steam . Psychologically, Kapha people tend to be calm, tolerant and forgiving. attachment help them to earn and hold onto money. such as flu, sinus congestion, and other diseases involving mucous. lentils are best for Kapha types. corn, safflower or sunflower oils can be used in small amounts as well. cooking and some consumption of goat's milk is good for Kapha types. heavy foods. Eat light, dry food. * Avoid fatty, oily foods. * Avoid iced food or drinks. * Avoid dairy. * Keep active. * No daytime naps. letting). Panchakarma belongs to this division. of the Shamanam treatment . amount to the actual process. " Om Namo Bhagavate Vasudevaya !!! I think we need to talk about medical practices related to food as well which are related to Ayurveda which I read in http://aayurvedaa4u.blogspot.com/ Dont you think so? can ayurvedic treatments help reduce weight? Hi itaurus, YES, Ayurveda is definitely a health-focused way to lose weight. In general, eating foods recommended for Kaphas will do this, coupled with physical activity. But if you can, find an Ayurvedic practitioner to guide you so that the process balances your doshas along the way. Did any one try ayurvedic medicated cosmetics? let me share this web page may be of great use for this web page. Herbal medicine which includes herbs such as ginger, capsicum, garlic and motherwort help to control the ailments related to blood circulation such as high blood pressure, varicose ulcers and so on. Many of the herbal medicines are used to treat coronary artery disease and to reduce cholesterol level in the blood stream. It seems that every day the Ayurveda Wisdom on the Web grows! Ayurvedic food is not only appetizing it also keeps the mind body and soul fit and fine. Purity has to maintained of the ingredients while practicing ayurveda which can be a big task. This is a wonderful site - since changing my diet to meatless, I learned to appreciate the effort that goes into original, organic ayurvedic cuisine! I have visited www.medseurope.co.uk recently. It is the best site for ayurvedic medicine. Hello ! I saw your blog post and found it very useful. Thanks for wonderful work you are doing. Very helpful website indeed. I love your dosha oriented recipes. I also found a recipe of Ghee at http:/ayurvedaplace.com quite interesting. we guys are doing a wellness workshop in NJ and Dr. Bhaswati Bhattacharya is coming to talk on "A Practical Guide to Achieving Longevity Using Ayurveda"
I think there is enough to recommend ayurveda as an alternate medicine in the reading and perusal of your blog. You have such a nice blog on Ayurveda. 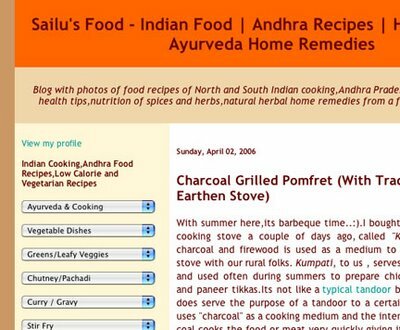 Every one could get knowlege Ayurveda recipe and more.I also wants to share with you my Ayurveda Online Consultation site. The curative properties of Ayurveda clearly exist and requires more exposure as a medicine than allopathy. Wonderful as always! Will be coming for more I learn a lot every day. Keep on the good work Ayurvedic Home Remedies. Is there a herbal system to help with athroscleroris, i think that what it is called. I also have high blood pressure. I want something simple that I can keep to rather than a fad. Nice blog.. contains a long Ayurvedic Product List . Ayurveda means the science of life and considered as the oldest and traditional form of treatment that had originated from India & become popular for curing all diseases. Ayurvedic products are very essential and useful in maintaining overall health of a person and some of the herbal products which are available provide great nourishment for our skin such as herbal extracts. Simply Amazing post nice information.Ayurveda is from the ancient days which has bundle of advantages.its an old method as we heard old is gold it is originated from India best way for the treatment.